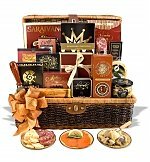 Romantic Christmas Gifts for Men - Gift Baskets Do the Trick! Romantic Christmas gifts for men. Christmas is in the offing and in case you've not noticed, it's coming around faster than you think. It's time to start building those Christmas gift ideas for guys on your holiday list. Honestly, men are not that hard to buy for. One of our favorite ideas for romantic Christmas gifts for men is the basket theory and we're using the same one for several other kinds of gifts for guys too. It's not too hard to make up a gift basket for the guys on your list. Christmas gift ideas for guys are as simple as knowing just a little bit about them and then taking that knowledge and running with it. For the hunter, what could be more appropriate than a small basket that offers him some of the favorite tools that he may use. A wicker basket that is filled with appropriate hunting gear may make a serious impression on him. Christmas gift ideas for guys don't have to be extravagant. That's one of those things we love about men. The gift basket may house a rolled up game vest for the bird hunter, or a turkey call and some appropriate camo paint and head gear. Equally handy as a gift idea for men, the fisherman can find in his basket the right line, the right equipment for rigging for catfish, or some of those wonderful hand tied flies. A fly tying kit would be an amazing addition to the basket for those who are interested in learning how to tie their own flies. Nothing exorbitant, but a beginner kit that could help him to learn how to tie flies or even to re-wrap that old rod are all things that would combine an activity that they love with a skill that they would likely enjoy learning. 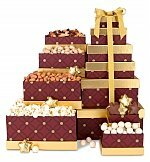 For the most romantic Christmas gifts for men, how about using that same basket gifts for men ideas and adding to it just slightly. What about a gorgeous basket that could be used in an office on a desk, or as a catch-all type thing and filling it with outrageous additions that will make him laugh or promote a romantic attitude. A few ideas might be a basket with a bottle of wine, a favorite spaghetti sauce and pasta, and a lovely tiramisu for dessert so that you have an intimate dinner for two. 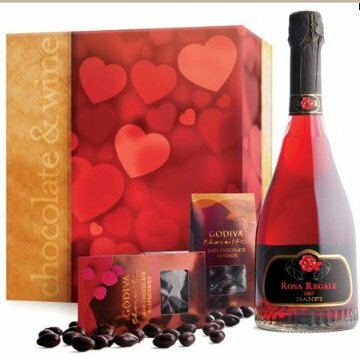 Getting a bit more in tune with his idea of romance, you might want to consider silk boxers, a bottle of wine, nibbles such as oysters or caviar or a favored treat. Add to that mixture a bottle of scented body oil or a self-warming massage oil and give him a night to look forward to. Romantic Christmas gifts for men are the presents that keep on giving. Basket Christmas gift ideas for guys are easy to find and come with many options. 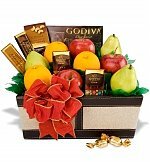 Those same baskets might be filled with sweet treats for the lover of fruit or gourmet foods. A basket that you pick up separately and then fill with smoked meats or cheeses, with various kinds of beer or ale, nearly anything could be a gift that will be long remembered as thoughtful and considerate. Christmas gift ideas for guys don't have to be extremely costly to be thoughtful and sweet. They may cost as little or as much as you like. For those who have a little more to spend, you can use that same basket Christmas gift ideas for guys and inject a luxury set of gifts, silk ties and a Tag Heuer watch sound good! 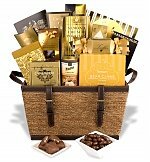 But really, anything that strikes you as something that the man in your life would be appreciative of receiving can become the centerpiece of a Christmas gift basket. It’s what makes them romantic Christmas gifts for men and always the perfect gift.